Asset forfeiture in Miami refers to the confiscation of goods by state or federal law enforcement authorities. The assets confiscated generally result from an offense or crime. There are statutes enacted that allow government agencies to confiscate personal property such as homes, motor vehicles, boats, bonds, and stocks. The penalty of asset forfeiture in Miami is a lawful conception that involves the application of procedures that result in the transfer of unlawful ownership of property to the government. Many of the criminal laws administered by the Federal Bureau of Investigation (FBI) include provisions for confiscation. With the help of a criminal attorney you will be able to analyze your asset forfeiture case. That is, finding the government agency that seized the property, and whether it’s a federal or state forfeiture. This is crucial information for your criminal lawyer Miami in order to determine which laws will apply to your case. Asset forfeiture is when possessions are seized and it generally applies to the suspected profits used for crime purposes. Asset seizure is when the government takes over somebody’s property and asset forfeiture is when the government actually acquires full property rights or ownership. States have multiple ways of handling forfeitures. These laws can be controversial and a lot of them have sharing provisions. Federal and state laws sate that part of the forfeiture procedures will go to the police or agencies that handles everything. Local officials and federal officials collaborate on this matter. State forfeitures allow the police to seize and either keep or sell any assets involved in a crime. The owners don’t need to be convicted of the crime for the government or even real state to take away things. Federal laws can be deeply flawed and help the police fill their pockets instead of actually fighting the crime. This is why, notwithstanding the kind of case you are dealing with, if your property has been seized, you need to hire a Miami asset forfeiture attorney to provide you with the right legal counsel and explain the legal options you have to solve your case. Government seizing property: Reasons why? Florida State approved the Florida Contraband Forfeiture Act. The whole civil forfeiture cases that are brought along state court will be managed by a circuit court judge in the civil division. In contrast to criminal actions which are dominated by The Florida Rules of Criminal Procedure, civil forfeiture actions are controlled by the Florida Rules of Civil Procedure. After the property has been taken, the enforcement of the law will give written notification of its purpose to waive certain goods. Contraband: Any illegal properties. Smuggled weapons, smuggled animals, narcotics, stolen property is categorized as contraband since they are all basically unlawful. Profits From Illegal Activity: Any property that’s linked to illegal activity. It can get complicated because, for example, when law enforcement charges someone of being a drug dealer and affirms that narcotic sales are their income, then they may say that even single purchases come from illegal activities. Commission of a Crime Instrumentalities or tools: This is any specific property that was used to support, execute or fund the crime. For instance, if a drug dealer had a house where drugs were stored and manufactured and used as well as an instrument for drug transportation, then both can be seized by law enforcement. Even when the defendant is found innocent, if the house is linked to illegal activity, it will be taken. The moment the private property has been taken, a legal process need to take place before the property can be transferred from the original owner to the government. That the government has the property in its possession does not mean it belongs to them. Asset forfeiture is governed by very strict rules. Once the government keeps the property for itself, the legal process to guarantee that the owner is given a fair chance to challenge the government's action is required. In the Florida State, assets such as cars, cash, boats and property are exposed to being seized if unlawful activity has been related in one way or another to them. Property that was used to execute a crime may also be seized. Civil asset forfeiture cases will have the individual’s property seized without needing to charge the individual with a crime. When the individual is charged with the crime, their property will also charged and tried. As soon as the law enforcement officer found out about a possible crime, probable cause must be established to prove that the object was an instrument of crime before seizing it. Criminal forfeiture, on the other hand, will require actual conviction of a crime and to proof that the property seized was used for illegal activity. Administrative forfeiture doesn’t require judicial involvement to authorize the federal agency seizing the property to forfeit it while judicial forfeiture is an in rem action brought against the property where no criminal charge against the owner is required. Some individuals make the mistake of thinking you have to be charged with a crime in order to have your property forfeited. While this might be true in some cases, the government occasionally will charge someone with a crime in an effort to forfeit your property through the criminal forfeiture process. In this case, the government will use civil or administrative forfeiture which will not require an actual conviction of a crime or filings of a criminal charge. The civil forfeiture process will have several obstacles and deadlines that when not done properly will end up in not being able to recover what the government has taken from you. This is why is advised to hire a criminal lawyer to help you with the process. Administrative asset forfeitures are non-judicial proceedings handled by a governmental agency such as the Internal Revenue Service (IRS), federal Bureau of Investigation (FBI), Tobacco and Firearms (ATF), etc. Civil forfeiture is also known as civil judicial forfeiture. This is a complex legal process where law enforcement officers take away possessions from individuals suspected of involvement with law-breaking or any illegal activity without having to charge the owners with crime. Civil forfeiture comprises an argument between law enforcement and the properties like for example, a boat or a house, money, or any other property with alleged involvement in a crime. The property subject to forfeiture is included in the same allegation that charges the defendant with a criminal violation. It is usually a sentence after being convicted for the crimes committed. The law seizes any property, real or personal, that are involved or original ownership. The procedures ensure that the defendant is protected by the rights contained in the Fourth and Fifth Amendment. The property must be identified in the indictment in order to notify the defendant, and should be given the opportunity to challenge this notice. Such procedures are outlined in the Federal Rules of Criminal Procedure. The government will also be required to include a notice of seizure in the report, though the sentence requires the government to prove beyond reasonable doubt guilt, so the government proves that the defendant obtained the property at the time the offenses were committed for which they accuse. Criminal forfeiture serves as penalty for a crime. The Florida Contraband Forfeiture Act was enacted in the State of Florida Actions of forfeiture brought in a state court are addressed by a circuit court judge in the civil division. In the case of criminal cases, The Florida Rules of Criminal Procedure govern them. After the property has been taken, a written notice will be provided by law enforcement with the purpose of forfeiting certain assets. Gallardo Law Firm and its qualified criminal defense lawyers have been working on a long list of cases, legal formalities and tax implication cases. Regardless of what each client is looking for, our asset forfeiture attorneys offer guidance through the legal process with confidentiality and competence. They know how the law affects each individual case and the legal options available. Despite of the charges you are facing or how complex your case could be, our lawyers have the knowledge and background to fight aggressively, and provide the effective legal representation you need. Sadly, many people do not want to believe that once the government has taken your property or other assets, the heavy load is on you to get the property back. In order to maintain your assets or get them back, you will necessarily demonstrate that the assets were obtained rightfully and that you did not consciously use them to disobey the law. 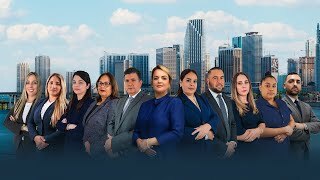 For this purpose, the criminal lawyers at Gallardo Law Firm are extremely dedicated to the success of our clients making a difference in the outcome of each case. They are dedicated to handle criminal defense and forfeiture issues in Florida State and Federal Courts. What should I take into account when choosing a criminal lawyer? What types of assets can be seized? The government can seize vehicles, houses, funds in bank accounts, cash, boats and/or an entire business or company which have been obtained from illegal sources. Drugs and weapons are very known assets seized by the government. What will happen after the property and other assets have been seized? It is taken by the government, is stored as evidence in a criminal case, and a report indicating the identity of the owner of the property, estimated value and a description of the asset. What law enforcement agencies are involved in these processes of confiscation? State, and federal police, as well as municipal commonly conduct all seizure and forfeiture actions. Moreover, most federal agencies, such as the Drug Enforcement Administration (DEA), the Federal Bureau of Investigation (FBI), and the Internal Revenue serviceid (IRS) also perform these procedures. Can you fight against the confiscation? Yes, the law allows the defendant whose property was seized to challenge this conviction, specifically states that there are some goods that are not subject to forfeiture. Additionally, many situations have arisen that the owner has no connection with the alleged crime. This person could not have been present at the time that the crime took place, or even have any idea or knowledge, that is, lending a car to a person who committed a violation of law. The so-called innocent the property owner has the legal right to challenge the confiscation of their property. Is it allowed just to take my assets if law enforcement thinks I committed a crime? No, there should be a judicial process first. Law enforcement needs a search warrant, consent or a seizure order. There are specific procedures the government must follow to seize the property. The government has to show that the assets were obtained through criminal activity, then, the court will allow the seizure. Furthermore, the government has to prove in a civil or criminal proceeding that the goods were the result of a criminal activity or were used to facilitate the crime. How many types of Asset Forfeiture are there? How can an attorney help me have my property back? The first thing an asset forfeiture attorney will do for you is to find out which government agency took the property. Depending on which type of asset forfeiture you are dealing with, the attorney will choose which laws and jurisdiction relates to your case. Then, in order to study who is on the other side, the asset forfeiture attorney will find out about the agency involved in your case.